Representation matters. And that statement is as important when it comes to careers and goal-setting as it is in something as seemingly simple as a doll. Especially for Black girls. That’s where someone like Flora Ekpe-Idang, the founder of Corage Dolls, comes in. 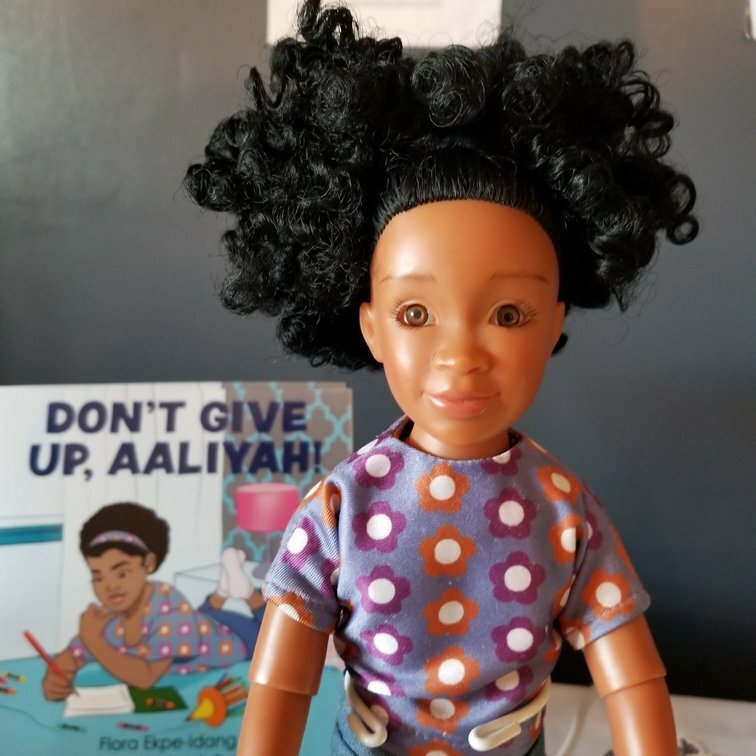 Starting with her first doll “Aaliyah,” complete with almond-shaped eyes, full lips, and a crown of curly coils, the New Jersey-native is looking to build a multicultural empire that not only empowers girls of color to celebrate their beauty but also inspires them to become entrepreneurs and business leaders. Here, the marketing executive and recent Twin Cities transplant chats with the MSR about her new venture. Our conversation has been condensed and edited for clarity. MSR: As a Black woman, I am completely drawn to this doll! Tell us about her. Flora Ekpe-Idang: [Laughs] Aaliyah is 13-and-one-half inches tall. She has beautiful, voluminous hair. She’s also ball jointed at the arms and the legs, so you can bend her, you can make her stand, you can have her do really random things. MSR: We talked earlier about the infamous doll test in the documentary A Girl Like Me. How did that inspire you to create her?FEI: The documentary focused on colorism and stereotypes. It took a group of Black children and they had them choose a doll — between a Black doll and a White doll — and asked them various questions, like which doll is smarter or more likely to succeed? The kids overwhelmingly chose the White doll when it came to anything positive, whereas they chose the Black doll when it came to anything negative. It was discouraging and disappointing to see that children, at five and six, already had somewhat of an internalized racism. 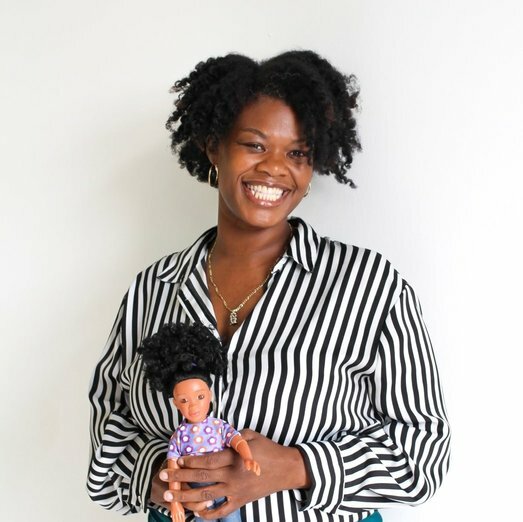 In that moment, I knew I wanted to solve this… So, Corage Dolls became this idea of being able to elevate and encourage and educate girls of color to be unstoppable and to see themselves reflected in ways to embrace their full potential. MSR: “Corage” sounds like “corsage” without the “s.” How’d you come up with the name? FEI: One day I was sitting in my living room asking myself what I want this company to stand for. The word “courage” popped up so many times. I looked up its origin. It was a Latin word, but it’s also a French word — courage without the “u.” So the idea was to give [the dolls] this mantra of being courageous. MSR: How did you even figure out how to make a doll? FEI: When I went to college, I interned at a toy company, and later on I got experience at Hasbro, as well, to understand and work in the toy industry to get a grasp of how to not just create something, but to really build an ecosystem to empower kids. MSR: What was the biggest challenge in making her? FEI: There were many! I think the biggest was last year when I started working with a manufacturer to officially get this doll created… A couple months in, things started to change. My manufacturer just started not to follow up with me. I started not to get my images and updates on how the doll was actually being made. I was starting to get less and less and less responses as months went by. Then in August, I had a meeting with the manufacturing company. I was lied to… I didn’t even have control over how my dolls were being made. MSR: How did you overcome that? So, I got connected to them, and between September and November, all I did was email them questions, questions, questions. What’s the lead time? How long will it take? Who’s working on what? How long are the stages? What’s all included in every bit of the costs? I was a little paranoid with the previous incident, but I really just made sure this time around to work with other partners, as well as, from a legal standpoint, to make sure that the contract was sound and that everything was in place. MSR: Now that your dolls are available, what does success look like for you? FEI: I think what I would have said years ago is I want to have this big house, I want to have all these different items. But honestly, as I’m starting to get older, it’s being happy in the choices that I’m making. The idea of success is being true to yourself and to what your purpose is and knowing that you have that faith to continue it. I also want to eventually build a legacy and generational wealth. MSR: You also have a book? FEI: It’s called Don’t Give Up, Aaliyah! It’s centered around teaching young girls, and kids in general, about the early principles of entrepreneurship. It’s a picture book for four-to-eight-year-olds centered around the doll and her going on an adventure and discovering that entrepreneurship is something that you can’t do alone. MSR: What advice would you give aspiring entrepreneurs? FEI: That you really cannot do it alone! It takes a village to raise an entrepreneur. For more info, visit www.coragedolls.com.